The Simplicity Plus is a push button unit that aids in the lifting and emptying of wheelie bins into dumper bins. The Simplicity Plus is the ideal unit for medium weight and frequent lifts. The push button operation eliminates all of the manual handling and associated risk. 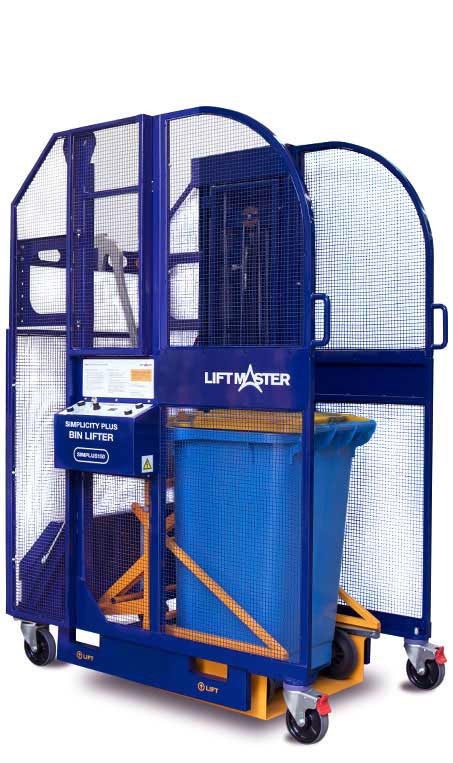 Designed to lift up to 150 kg at a time, the Simplicity Plus is ideal for up to 50 lifts per day. 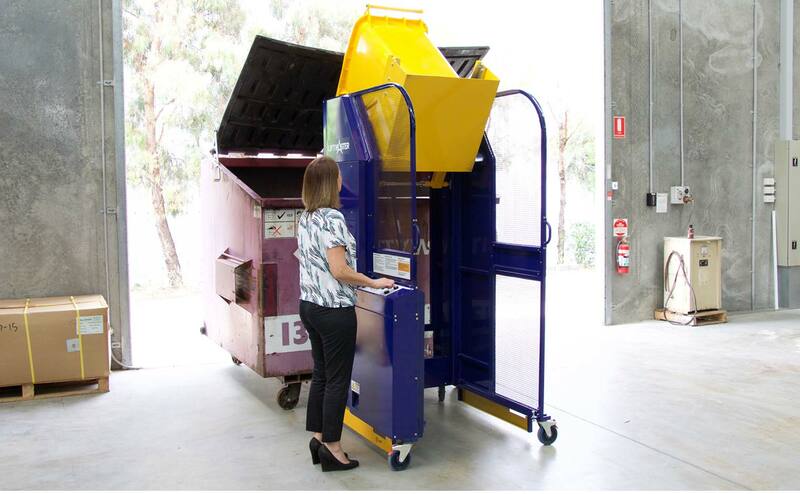 A simple process of pushing the button to lift and empty the bin in a 40 second cycle. It operates on a 12V rechargeable battery which ensures the unit is completely portable.